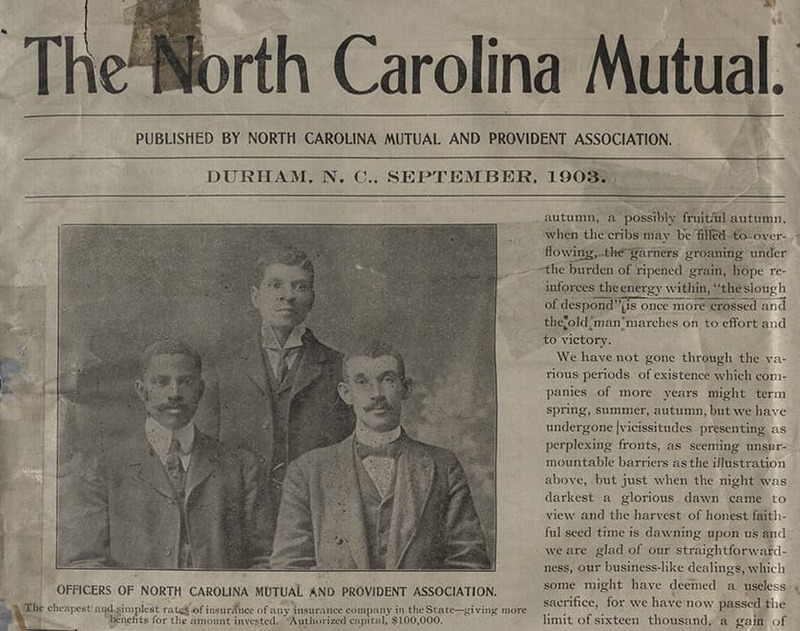 Wealth gained through land and  real estate supported the creation  of Black Durham’s landmark  business, the North Carolina  Mutual Life Insurance Company. Although real estate investment  yielded profits, it was never just a  moneymaking venture. Racial  solidarity and cooperation were  central to this era of uplift. The North Carolina Mutual’s three founders: John Merrick, C. C. Spaulding, and Dr. Aaron Moore, are pictured in this 1903 publication. Their personal wealth kept the company afloat in the early years when insurance claims outpaced revenues. They made much of this wealth through real estate investment. As the middle class grew in Durham, Black leaders championed homeownership. Black financial institutions helped make dreams of homeownership a reality when white institutions refused to lend in Black neighborhoods. 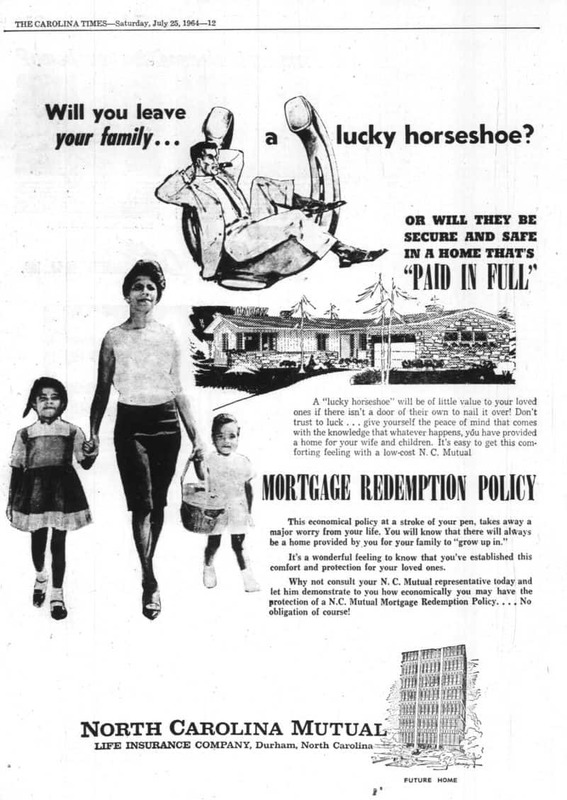 3 out of 4 federally underwritten mortgages from Black banks were held by the North Carolina Mutual.